You are at:Home»Reviews & Weekend»Nintendo Switch review: Wii again? With the recent launch of Nintendo’s latest, next-generation gaming console the Japanese company has made some pretty bold moves. When directly compared to the most recent PlayStation and Xbox models, the Switch doesn’t excel in terms of pure processing power. Instead, it aims for an innovative and original gameplay approach, not unlike its hugely successful Wii console. The Switch is a hybrid between the traditional gaming console and mobile, handheld device. Nintendo likes to sell and market the Switch as “able to transform from a home console to a portable system in a snap”. But the Switch is more of a traditional gaming console in the form of a tablet, simply with a docking station included in the box. This docking station doesn’t add any processing power to the Switch, though. All the computational hardware is in the tablet part, right behind its display. 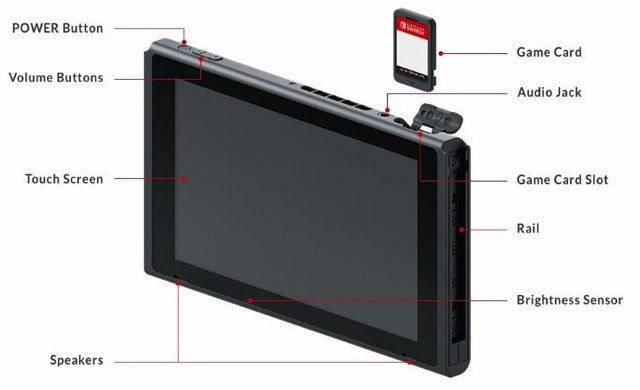 One of the most noticeable, distinctive features of the Switch is that the tablet has one detachable controller on each side. When these are separated from the main unit, what remains is the heart of the system: a tablet with a 6,2-inch, 1 280×720 resolution touch screen, integrated battery, CPU, GPU, storage and connectors. 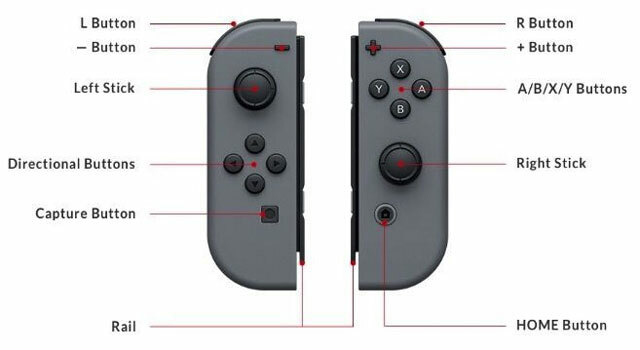 The two, detachable mini-controllers, which seem to be made especially for tiny hands, can subsequently be interconnected to transform them into one, bigger version, presumably for adults. Nintendo also offers the Switch Pro Controller, but that will set you back an additional R1 100. The Nintendo Switch is clearly designed to be extremely versatile, mainly in the way it facilitates gameplay. The device can be used as a more traditional, stationary gaming console by hooking it up to a TV, or as a mobile gaming device when on the move. The two mini-controllers, which Nintendo calls Joy-Cons, can be used for single-player gaming by holding one in each hand, or they can enable two-player mayhem. Each of the controllers features a full range of buttons, motion sensors and vibration feedback. 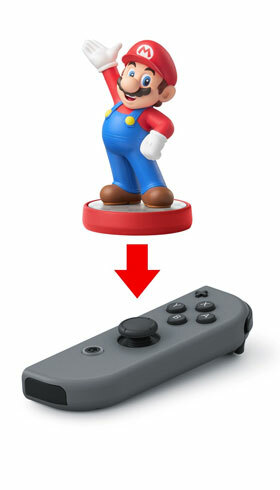 Nintendo did a great job embedding all the buttons and technology into such tiny controllers. The Switch supports Wi-Fi, even up to the latest 802.11ac standard, as well as Bluetooth 4.1. In addition, it houses a USB-C port while the docking station will add an extra three USB-A connectors to that. On the back, there’s a fragile-feeling stand to position it upright and a micro-SD card slot to expand the 32GB of integrated storage space. Both compact Joy-Cons feature a motion sensor that can accurately measure movement. During gameplay, this technology, clearly copied from the Wii, can be used to simulate aiming a virtual bow, camera, hand and many other objects. The right Joy-Con even houses an infrared sensor that can determine how far an object is located from the controller itself and, according to Nintendo, can even scan for specific shapes. Although not much has been done to make use of these features, future games will hopefully take more advantage of the technology. The real possibilities of Switch’s Joy-Con controllers really emerge with the 1-2 Switch game, which is almost completely based on its motion-sensor technology. And this is where the potential enjoyment of the Switch manifests itself. Nintendo’s new console, like the Wii, is best at plain and simple family-style mini and party games instead of fast-pacing, incredible-looking shooters or mindboggling action games. For now, let’s dive a little bit deeper under the bonnet of the Switch. In essence, the console is a tablet with a docking station. It runs on a 1GHz NVidia Tegra X1 chip that is very similar to the one in the Nvidia Shield TV and Google Pixel C tablet. The X1 features four Cortex A57 cores, four energy-efficient Cortex A53 cores and a Maxwell-generation GPU that clocks between 300MHz and 400MHz. When docked, this GPU doubles in speed since there’s no battery life to conserve, and allows the Switch to output a higher screen resolution, up to a maximum of 1080p (sorry folks, no 4K). Admittedly, all these numbers are impressive for a handheld console, but pale when stacked up against the PS4 or Xbox One. One of the most important launch games of the Switch, The Legend of Zelda: Breath of the Wild, nicely illustrates the relative lack of processing power. The game has been scaled down to a lower 900p resolution to keep the framerate as close as possible to 30fps. Based on three games that were used for this review, it seems that the Switch, unfortunately, has some structural problems with graphics. Although the system aims to display a continuous 30fps, the occasional frame drop reveals itself. This is especially true when a lot is happening on screen, like an increased number of particles or volume of grass, with framerate sometimes tumbling to an unacceptable 20fps. Actual graphics quality – admittedly not the only aspect that makes a great game – cannot even begin to match that of the PS4 or Xbox One. Taking the Zelda game as the primary benchmark, since it is visually the most demanding, graphics are simply unable to impress. Zelda’s graphics look slightly grainy and lack the detail you’d expect from a next-generation gaming system. Although the inconsistent framerate and lack of state-of-the-art graphics is a definite red flag, the Switch is relatively new and all of this might go away with future updates and further optimisation of both the device and games. So, for now, it will receive the benefit of the doubt. When enjoying these games on the display of the Switch itself, instead of outputting them on an external screen, the lack of detail is less visible. This is simply because the integrated display has a relatively low resolution of 720p. Shapes, characters and objects that appear slightly crude and with jagged edges (due to the lack of full-screen antialiasing) on a large, higher-resolution TV now look less “previous-gen”. The framerate drop problem remains, however. Despite unremarkable internal hardware, the Switch still tends to get surprisingly warm to the touch, especially while playing games intensely for long periods of time. This heat problem occurs mainly when docked and connected to a TV, which is when the GPU doubles performance to output more pixels. As a result, the hardware requires more energy and subsequently produces more heat. 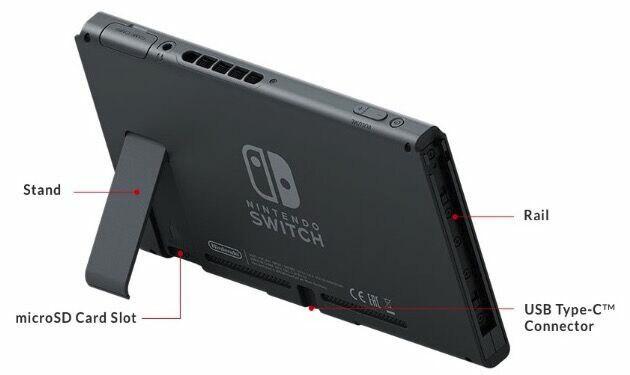 Nintendo clearly anticipated heat issues, and so it fitted the Switch with an active cooling fan that funnels air through a heat sink located at the top of the tablet, right above the dock itself. Nevertheless, that part of the screen and dock can become quite hot to the touch, measuring up to 47 deg C. The temperature drops quickly when the Switch is undocked. The good news is the device won’t reach these temperatures when in handheld mode. The Switch houses an integrated, non-user replaceable 4 310mAh battery. The expected lifespan of this component is strongly determined by the games that are played, how they are played and which hardware speeds developers choose to run their games on. To find out how long the Switch would last on a fully charged battery, I tested the device in handheld mode and manually set screen brightness to a continuous 50%. Both Joy-Con controllers, which each has its own 525mAh integrated battery, remained attached to the main unit. 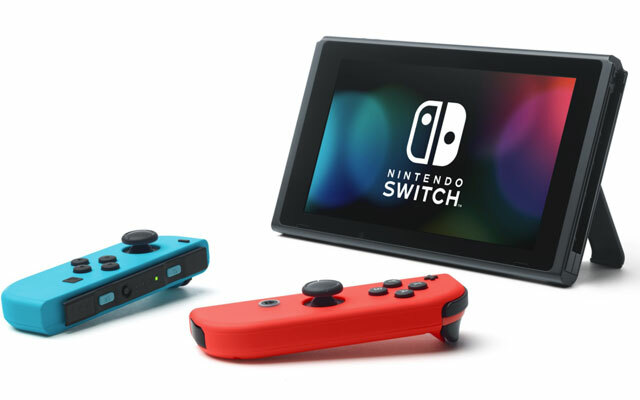 Test results showed that the Switch would only last up to four hours of nonstop gameplay. With screen brightness set to 100%, the Switch lasted only two hours and 50 minutes. For a handheld gaming console, those aren’t great numbers. Most (high-end) tablets have no trouble lasting more than seven hours when playing comparable games and come with significantly bigger screens. Okay, enough about the specifications and hardware. There’s much more to good gaming than just the number of cores, gigahertz, gigabytes and the raw number of frames per second. Like simply how enjoyable and fun it is to play with. To “measure” that, our review sample of the Switch was sequentially installed in six different households with two kids for a maximum of three days. After processing all the feedback, a distinct pattern could be detected in each participant’s experience with the device. At first, everybody appeared enthusiastic about the new console that could be used both at home and on the go. In most cases, that initial eagerness for gaming on a next-generation console had faded away after the limited testing period. In its defence, only three games had been played by all 24 participants. The main reason for the waning enthusiasm was the relatively short battery life in handheld mode and the miniature, fragile-feeling controllers and buttons. Also, the simplistic, low-complexity graphics appeared to be a disappointment for the adults in the test group, who compared visuals with those seen on a PC, PS4 or Xbox One. There was positive feedback to the Switch’s mobile vs stationary flexibility, primarily the innovative ways of how the motion-sensitive controllers could be used. In addition, the docking station was given much praise for its elegant design as well as how easy and smooth the Switch can be (dis)connected. Finally, the responsiveness and intuitiveness of the menus and general navigation were rated by most participants as excellent. 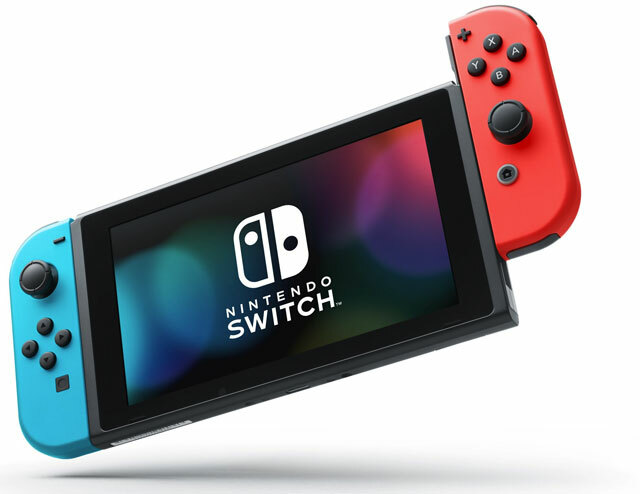 Because of its distinctive hardware and features, designing tailormade games for the Switch cannot be an easy task for software studios. Porting any existing title must be an even bigger challenge. It’s not impossible, though, but will be significantly more complex than porting from Windows to PlayStation or Xbox, or vice versa. The outlook, however, could be quite good since loads of game publishers have promised to support the Nintendo Switch system with mountains of titles. Ultimately, it’s safe to say that the success of the Switch is dependent on the quantity, quality and originality of games to come. For now, the assortment is relative limited, yet the number of titles is growing steadily. See here for a list of available and upcoming games. 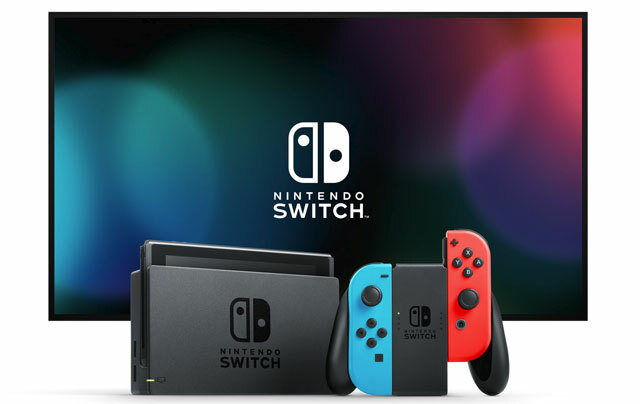 Although the Nintendo Switch is a refreshing console on paper, based on some good and innovative ideas by Nintendo, the actual implementation leaves room for improvement. Sure, it’s nice that you can seamlessly transfer from handheld mode to a stationary couch mode and the controllers facilitate numerous and possibly fun ways to be used. But the fact remains that graphically, the Switch is unimpressive, its battery life is relatively short and it’s troubled by occasional heat issues. Hopefully these problems can be addressed with updates and game optimisation. Last, but certainly not least, the included controllers are generally too small and feel fragile. In the end, the Switch is much better at being a handheld entertainment device than a typical gaming console. Even then, the included controllers will fall short for anything except simple, family-style mini games. Harsh. Zelda is beautiful and probably the best game of the last ten or so years. As an adult, the switch fills a very big void when it comes to gaming. Time pressures mean gaming on the go is a life saver. Love it. Have to agree with this, clearly Nintendo has poured bundles into the hands of journo dogs to date to get all the positive hype, cannot continue, and unless they get some good motion controller games it’ll be a forgotten system this time next year.